Efax is yesterday. You know the fax machine you have out there in the cloud where you receive a fax (with a dedicated line) and they send you the fax via email. And you send the fax via email - you post it to your electronic fax provider and they fax it for you. Actually electronic fax does not figure very much in my life at all. I have sent only one or two faxes in the last decade and I have received none. The closest I get to faxing is scanning a document and emailing that. So it was a great surprise to come by J2Global.com (JCOM:NASDAQ). You see J2Global is an electronic fax company - it is the old e-fax. It is the only brand in electronic fax I remembered. And I could not imagine that it possibly had about 300 million revenue and a market cap of almost $1.5 billion. Like really? Like who are you kidding? And note this was a price to sales ratio of five - a number consistent with the most profitable or highest growth companies in the world. I mean there are not many companies in established businesses with a price to sales ratio of five. And very few businesses that should be in such obvious decline as electronic fax would ever deserve such a ratio. But there it was, listed, with a big cap, fairly transparent looking accounts and a stock that slowly levitated over the decade in much the way that bricks don't. This was so unexpected a find that I really did double-take. There was a bull-story relentlessly promoted of course - which was that J2Global was a "cloud company" in the sense that internet-fax was one of the first applications out there "in the cloud" but it was a cloud company a little less sophisticated than Hotmail or the AOL "walled garden". I was wondering whether my experience with fax machines (they have rapidly become irrelevant) was the universal one. I could not imagine being a subscriber (at $16.95 a month no less) to efax and wondered why anyone else was. I rang our foundation client - an industrialist about 15 years older than me who is on the road quite a bit. I thought he might be a subscriber - but he can't imagine wanting to join. He wondered where I found companies like this. So I kept asking people whether they would subscribe to an electronic fax person - and I found one - a fund manager who thought he paid $3 a month and it was before MyFax purchased his supplier (MyFax is owned by Protus - more about them below). My friend now pays $6 a month even though the cheapest price on the MyFax website is $10 and has been for some time. The first explanation for the continuation of the business was inertia (which is the same reason why some people still use dial-up internet). Inertia or ripping off your customers? YouTube is a valuable resource - you can usually find someone complaining about or proselytizing for a product. In this case it was complaining. You see it is very hard to cease being a efax client. The video below shows you how when you dial up they tell you that you should cancel your account on the net. On the net it gives you a number to dial up (with a long wait). That gives you another number (with a long wait) and that tells you to cancel on the net. You get the idea: phone center hell. I wondered whether this was typical: whether the modus-operandi of this business was to keep ripping people off even when they wanted to cancel. Most complainants allege billing disputes or difficulty canceling accounts. Many customers complain of excessive hold times, anywhere between 10 minutes and up to several hours, when attempting to speak to a customer service representative. Other complainants allege the fax service does not work or fax numbers are reassigned without notice or justification. A few complaints allege the company does not disclose the fact that the number of faxes you can send is limited or that there is a per page charge for every outgoing fax. The company responds to some complaints by canceling accounts, issuing refunds, and apologizing for the interruption of service. In a few cases, the company retrieves and reactivates fax numbers or verifies the service is operational. The company further responds by claiming customers have more than one account or that they have no evidence of cancellation. You see these guys are appear a little sharp (at least in the view of the Better Business Bureau). You cancel an account and they will keep billing you claiming no evidence of cancellation or that you have more than one account (as if anyone would have more than one electronic fax number). This sort of business behavior is harder to pull off outside the US. The US seems to have a culture that accepts consumer rip-offs (predatory lending for example). Other cultures think of unconscionable conduct. This is unconscionable. In the US I guess it works until they get a class-action lawsuit. eFax today announced that they are raising their already gouging rates from $12.95 a month to $16.95 a month, unless you want to “lock in” the $12.95 a month rate by paying it annually (i.e. pay the $12.95 x 12 up front to the tune of more than $150.00 a year). I call it “gouging” because eFax originally started out with this model: you could either pay to get a fax number that was local to you, or get a free fax number which could have an area code in any part of the U.S. except local to you. At that time it cost a mere $4.95 to have the local number, which was part of a service called “eFaxPlus”. So eFax Plus was only $4.95 a month, and that was as recently as the year 2000. However, once they got you hooked (and having distributed your fax number far and wide) they boosted their fees to $12.95 a month - more than double what you’d signed up for - and you were stuck, unless you were willing to lose the fax number you’d given out to everyone. Still, it was month-to-month so you could make a decision each month as to whether it was worth it. But now they are doing it again, saying either pay that $12.95 a month up front for a full year (a total of $155.40 a year), or pay the exhorbitant rate of $16.95 a month. And, if this prompts you to decide to cancel the service, let me tell you up front that there is no easy way to cancel your account [the blog post purports later - not quoted - to tell you how to cancel the account]. “The monthly subscription fee for all eFax Plus numbers on your account will be changing. Starting on your next billing date, the monthly fee for each of your eFax number(s) will be $16.95. You will also receive an enhanced level of eFax service. Receive up to 130 fax pages and send up to 30 fax pages free each month. Store faxes up to one year with your eFax Message Center. Get 24/7 live phone support. To lock in the old $12.95 rate for the next year, switch to annual billing by clicking here. And nobody would rationally sign up - as the same blog post makes clear this service is at least twice as expensive as the competition. If you do a simple internet search you would find that efax is poorly rated, and actively disliked by consumer groups. This is a dumb product to sign up to. But the revenue is still growing. Why? Why the hell would anyone want to sign up to this? My first thought was that the accounts were a lie. I see a lot of stock fraud - and I immediately thought that they were just making the rising revenue up. After all I could not see why revenue from electronic fax should be rising. It just seemed so unlikely. And they really are (at least in the words of their complaining customers) nasty. Customers just say the company is a scam. Just the sort of people who would fake accounts - or so I incorrectly thought. Bolstering my theory that they were faking their accounts was their less-than-mainstream auditor. They use Singer Lewak LLP. The SEC database allows us to see all the other companies audited by them. It is not a list of known frauds - but it is hardly inspiring. So I tried to puzzle how they did it. The company generates lots of cash but pays no dividend which makes it hard to confirm the cash is real. But if the cash is real the profits are real. And if the cash is not real the profits are not real. During 2010 cash dropped from 197 to 65 million - the difference been spent on acquisitions. 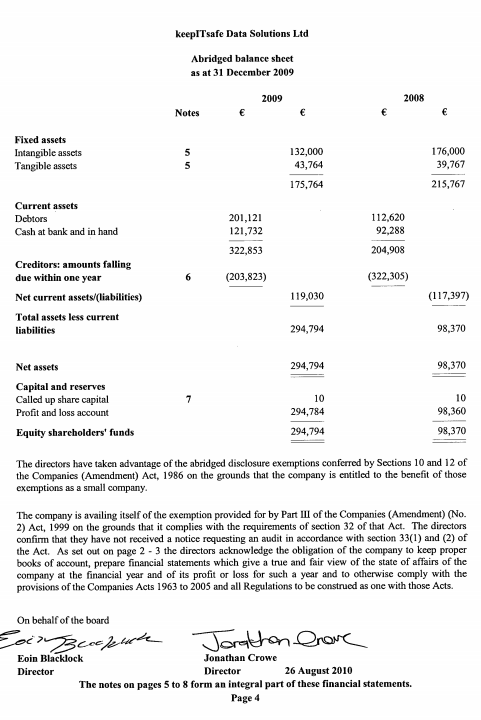 Goodwill went from 81 million to 282 million and the cash flow statement reveals that they spent $249 million on acquisitions - that $249 million being cash generated over the business over time. During 2010, j2 Global acquired eight businesses: (1) the voice assets of Reality Telecom Ltd, (2) the fax assets of Comodo Communications, Inc, (3) the unified messaging and communications assets of mBox Pty, Ltd, (4) the assets associated with the email hosting and email marketing businesses of FuseMail, LLC, (5) the assets of Alban Telecom Limited, a UK enhanced voice services provider, (6) Venali, Inc., a Miami-based provider of enterprise Internet fax messaging solutions, (7) keepITsafe Data Solutions Ltd., an Ireland-based provider of online backup services, and (8) Protus IP Solutions, Inc., a Canadian provider of Software-as-a-Service (SaaS) communication services and solutions to the business market. Now I had a work program. I wanted to find out what I could about the acquisitions. If the acquisitions were real companies from reputable parties and over $200 million was paid I could confirm that the business was substantially real. If they were acquisitions from dodgy-brother-related-parties then I would be ringing the Longtop-type-fraud bell. I had to work out where they spent that $200 million. Being a methodical type I did the acquisitions in order. This press release covers (1) Reality Communications, (2) Comodo and (3) and something called Quexion which is not on the list of acquisitons. The total consideration is not material. Mbox (3 above) is a small Australian supplier. It is hardly the use of $200 million. Nor was it Fusemail (number 4 above) as that had only 6000 subscribers and the price was not disclosed. Alban telecom (number 5) was also specifically described as not material. Venali inc (number 6 above) was the first with a material purchase price ($17 million). It also had $10 million of revenue and the purchase involved the settlement of some patent disputes. I further looked up the directors and they are not key contributors to the tech world. Now I am getting really excited. I have checked the first seven out of eight acquisitions and with one exception (Venali Inc) they are either not material or nonsense acquisitions. But I am a thorough guy and so I checked the last one - Protus IP Solutions. And my "its a Longtop" thesis collapsed. Simply collapsed. You see they purchased Protus for $213 million. If that $213 million were paid to dodgy parties or related parties I could hazard a guess that the $213 million and the purchase was a fiction. But the vendors were highly reputable venture capital funds: Bank of Montreal Capital Corporation, Edgestone Capital Venture Fund, L.P., B.E.S.T. Discoveries Fund Inc. and New Millennium Venture Fund Inc. And the number was reported in the Canadian press. So we can conclude the $213 million was real. And that $213 million had to come from somewhere - and the company did not raise it in the market. So we know the company actually generated that money. Protus is billed as a "software as a service" offering but it is in fact another electronic fax company. MyFax - the service my friend subscribes to - is a Protus product. What you are seeing here is my thesis (that this was a Longtop style fraud) collapsing around me. I danced around the office prematurely - and the huge option position I was considering: well we never put it on. But I am still left pondering the business. Much to my chagrin we now know that J2Global really is a fax company. And it really generates a lot of cash which means that there really are suckers (ahem customers) who pay $16.95 per month for a fax line from a company that it is very hard to unsubscribe from. But over time the company builds up cash and then buys something - another fax company. We also know that it puts up the rates. My friend above who had the fax at MyFax.com originally had it at another provider (and he remembers it as $3 per month). That company was acquired. Now $6 a month. Now it is inside J2Global the price will push up and up - and may eventually reach $16.95 - a price where J2 seems to stop. And this really is a business about yesterday: he sends less and less faxes each year and so does everyone else. But J2 Global will raise his rates bleeding him for as much cash as they can before he gives up (analog) fax as an antiquity like dial-up internet. Protus says they had revenue at about $72 million per annum. The other significant acquisition (Venali) had $10 million revenue per annum. Acquisitions thus added revenue of about $80 million per annum or $20 million per quarter. The other acquisitions had to be a few million more. I looked at the first quarter of this year (the first full quarter with those acquisitions which can be compared to a PCP without those acquisitions). Revenue goes from $60 million to $73 million. That is a nice rise - but not quite enough to account for the acquisitions. There is a pretty sharp underlying decline. The next quarter they seem to have put some prices up (which is what they do) and revenue growth resumes. But you have to imagine that the clients are kicking back - slowly fading away even if it does take 3 hours on hold to cancel your account. So what we have here is actually pretty straight forward. It is a business in decline - but it is dressed up as a cloud computing company which I guess makes people happy. It can't be much of a cloud computing company because property, plant and equipment is only $13 million and is not growing and cloud computing is capital intensive. Because it is (at least from an equity-marketing perspective) a cloud computing company it sports a respectable PE multiple and a reasonable stock price. But revenue growth comes from two places (a) buying the competitors and (b) raising prices - and that is offset by the general decline of the electronic fax industry. They slow that decline by making sure that customers have a really hard time unsubscribing. Sure it generates cash - but it spends the bulk of that cash over time on acquisitions - necessary to actually get revenue growth. The management behave as if the stock is expensive. They are selling their shares at a pretty good clip. The management at Salesforce.Com are also selling shares at a pretty good clip and that seems not to hurt them. I have sometimes purchased shares from management and done well. And I could be wrong in the core thesis. Electronic Fax may really have a future. Maybe they can crank the rates to $30 a month and the customers will continue to love them. It seems unlikely to me - but no more unlikely that some hip 18 year old could do a Spice Girls cover on YouTube and get millions of views. And that happened. And to complete the homage they repeated the Spice Girls trick of doing the video in one continuous take. PS. Disclosure: I still have my small short on. It will stay small - technical obsolescence is something we generally short. Hyping old industries with fashionable words (like "cloud" and "software as a service") is also something we generally short. But my excitement: that was misplaced. Cool story, JH. My wife wanted me to buy JCOM ten years ago and I told her it wasn't a good idea. Thank God she doesn't ever look at the ticker (I hope). I've looked at JCOM as a short several times, it is a classic ponzi scheme roll-up, but as you point out they are good at what they do. I was also short USA Mobility, which is a pager company, yet somehow they were able to cash flow that business like crazy. Appreciate the details on how JCOM treats their customers, never really got that far into it. Couple of thoughts, Car dealers. Heavy reliance on faxes along the finance companies on the back end. You could have 1000's of dealers and 100's of finance consumers. There customer is a niche market small business. Yeah- but the car dealers and the finance companies - one of the few heavy users - has their own fax machine. This is a product for someone who does not have lots of use for a fax machine but needs one irregularly - or for someone who is on the road and hence is not physically at their fax machine. Funny, your article doesn't note the recent dividend (you actually say pays none). Nor does it do enough research to note heavy users such as lawyers, real estate professionals etc. Even more so, it doesn't note voice solutions which are growing rapidly and enterprise usage such as health care providers that are increasingly becoming subs. And the "lofty" PE of 11x for 47% ebitda margins. Even with no growth ever again (they grow revs consistently and were basically flat in the greatest recession of our time) the stock is worth much more than this. Sounds like you are among the crowded short position being caused pain by the recent dividend and increased EPS #'s. Great work, John. I looked at this a few months back and came to a similar conclusion (although my analysis into the potential fraud was not nearly as rigorous). Do you have any thoughts on how many players remain in the industry that JCOM could acquire? If the low-hanging fruit has been picked, it might be tough for JCOM to continue to report strong numbers going forward. Another potential catalyst that would immediately kill pricing and subscriber numbers would be regulation allowing customers to port their fax number to another e-fax provider. Why this isn't already allowed is beyond me, but I have no idea if/when any type of regulation would be coming down the pipeline. Until then, we are stuck trying to value a company that will probably make their numbers this year, but may not exist in 5 years. Lawyers, title companies and realtors are also big fax users. Lots of offers and counter offers to be signed, initialed and sent back. "Much the way that bricks don't." Most lawyers, title companies, and real estate agents have moved on to scanning and email or at least have a fax machine (or two) in their offices. The customers are not people in offices. I think most of the customers are probably home-based businesses or people who travel a lot and can't be at a fax machine or a scanner. As for canceling, I wonder why people don't simply report that credit card number as lost and never give them another number? Your less-than-astute 1Q y/y revenue analysis managed to miss the fact that a change in accounting had them record a $10M increase to deferred revenue offsetting current period revenue by an equal amount. They actually showed modest organic growth y/y, not a "sharp underlying decline." Do other people actually entrust you with their money? With scanner and email pricing where it is (unbelievably cheap), why would any sane person pay someone for efax? Any individual can manage their fax needs with a $100 all-in-one from Canon and a Gmail account. Any business big enough to need serious faxing capacity will have an email system with high capacity and big Xerox machines that will email scanned documents directly. Are there still document-intensive businesses using email systems as if bandwidth and HD space is expensive and limiting users to 10 megs or something? I'm baffled. One quick observation and question. JCOM is reporting persistent declines in customer attrition rates and the same thing was happening at Web in the last couple years. Is it possible that the customer base that remains, after years of attrition, is simply super sticky and unwilling to pursue rational alternatives? For what it is worth, I work at a 5 fee-earner commercial law firm and It never ceases to amaze me the number of faxes we send and receive. We originally had an efax but ditched that In favour of a 70 dollar Epson all in one from officeworks. We have a enormous photocopier and scanner that has every scanning to pdf and copying option you could imagine. I have no opinion on JCOM but I think you’re overly dismissive of the value proposition offered by fax-to-email. The above comment that “this is a product for someone who does not have lots of use for a fax machine but needs one irregularly” isn’t entirely correct. Huge enterprises that are heavy fax users (finance, legal, healthcare, etc.) tend to receive important docs via fax that need to make their way onto some type of electronic document management system. Given the volume of paperwork, it’s onerous to receive a hardcopy fax, scan it to email, then upload it to your DMS. By getting it straight to email, you don’t even have to get up from your chair. I think you’re barking up the wrong tree by asking industrialists or small fund managers. Maybe ask your prime how they manage their faxes? I have great respect for John but I disagree with him about the users of eFax. I've used eFax during my time involved in the A/R department of a large, publicly traded healthcare staffing company in the US -- we had approximately 120 eFax accounts linked to each user. Our IT department, ruled by an old-school dude, would never consider taking us off the system since it was engrained in the company's workflow. Our AR department received faxes through eFax and sent out using our 5 fax machines on our floor. Very old school but effective since it's reliable -- many AP departments required hard copies of invoices so any adjustments to an invoice would at times, be edited manually, and sent via fax. AR is not going to risk not getting paid on this week's check run (and missing monthly cash goals) because we asked a client's AP department to scan invoices and have them sent via e-mail. If they wanted to send us revised invoices (& money) via pigeon, we would comply and setup a system to feed pigeons. A client's AP and their ways could make or break our month/quarter so we had to cater to their needs -- "invoices can only be faxed? (in 2011)?" You got it. I'm in my mid-20s, have a dropbox account at home, print to PDF most things, and don't have a phone line. I'm the minority in the corporate world though -- JCOM thrives on those 40-50 year IT managers who think XP is the best thing since sliced bread and department managers that don't realize that you can't have 55 e-mails, 18 spreadsheets, and 19 Internet Explorer 6 windows open at the same time on a Core Duo machine with 1 GB of RAM and expect the machine to work well. Maybe so on some of these applications where people are still used to faxing but I think that 1) those jobs are getting gutted and 2) scanners with OCR like the fujitsu scansnap are getting cheaper than most home printers. I regularly take mine for diligence trips now since its easier than having stuff faxed to us or in physical form. Sure, it might be a scummy biz and it might have a few sticky users - but its dying and failing a big dividend increase it is going to try to acquire itself out of irrelevance. It trades at 11x PE because it is going to overpay for a lot of crap and investors won't see that cash. Welcome to Japan value investing, all over again. mnm and Unknown have it right: efax systems are for slow-changing industries full of not-too-tech-savvy employees. And being "ingrained into the workflow" really is a big deal. I'm an insurance claims adjuster; I work from home, and need to both a) receive faxes whether at my office or out on the road and also b) archive them electronically. The efax does both. I don't SEND any faxes with it- the physical fax machine is easier for sending (yes, I have one also), but I'd be pretty irritated if my company decided to quit their Facsys subscription and make me receive paper faxes, scan and upload them, and toss the paper original in the trash. Not a cutting-edge technology, to be sure, but not dead either. You have to be *very* careful with technical obsolescence shorts. The Chinese frauds were nice in that many of them collapsed quite quickly. Obsolescence shorts might take ten years to work out. Heck, I'm still surprised at how quickly the American newspaper business collapsed -- I really thought that it'd take another forty years for their readers to die off (as Warren Buffett once put it very bluntly). Little did I know that the collapse of the housing bubble would take the newspapers down with them (real estate ads were keeping them afloat). If this is the same one I actually used it a few times when I lived in San Diego. It was a bit clunky by the emailed fax worked. I never looked at the company's financials however. In most jurisdictions fax is accepted on par with a signed paper as evidence in court. If I can submit a fax coming from you, you have to prove that it is a fake. Mail is not there yet. So the death of the fax will as far as I can see not depend on technical sofistication but on change in law. In the last few weeks there have been a lot of adverts on Absolute Radio here in the UK for eFax. I couldn't understand why anybody would want it. I actually thought the advert was a joke. Knowing that once you sign up for their free trial you can't leave might explain some of it. Presumably they are quite keen to find new suckers. Credit Reporting: Trans Union (and probably the other agencies) don't like to send credit reports in email. I need about 40/mo and they insist on fax. They used to allow emailed PDFs. So that's actually a significant increase in my fax use. For what it's worth, I'm one of the people who had a heck of a time switching out of eFax/J2. They canceled my account finally after a huge amount of time on the phone and fake/incorrect info by their telephone support (till I got the mythical "supervisor"). ALAS I switched to MyFax. Now acquired by J2. Ugh. A friend of mine still makes a decent living selling pagers. I would talk to your back office about how many counterparties don't send email confirms but send faxes, especially internationally. If you want to turn those faxes into a PDF you can archive, you're looking at 1) manually scanning paper on your fancy Xerox 2) investing in your own computer / fax gateway hardware which is surprisingly headachy or 3) a service like efax. Why those all-in-ones don't come with an Internet connection and easy to use integrated incoming fax to PDF service is a headscratcher. I'm a J2 customer, and recently managed to drop one of their services via online chat. Of course, it was never efax for me, but j2, from back when they were separate. The reason for fax at all is those parties (fewer but still real) who insist on fax rather than email. What amazes me is that they make this insistence even though essentially all modern faxes are sucked into computers at some point, so they are in no way "more secure". Given all that, using j2 let me drop my landline phone years and years ago. I'd rather pay for electronic fax than have to have a landline phone for the few times a year somebody HAS to send me a fax rather than email. The problem with all the fancy MFC devices is that a "true fax" by defintion *uses a landline phone*. So J2's fortunes may *rise* with the fall of landline phones. Until not-so-secure faxes are replaced with distributed-cert-crypto-locked-and-dated pdfs. We use J2 (Protus) for our main toll-free number, and no one is getting scammed. I read your article this morning and was actually in the process of transferring my number over to Grasshopper (another service), which completely screwed up the transfer. Our main line was disconnected for several hours because Grasshopper screwed it up - something anyone would consider to be totally unacceptable. Grasshopper's porting department only works Monday - Friday, and their support staff were unwilling to escalate the issue. Totally irresponsible! I called J2 - within 10-15 seconds was routed to a support rep, who escalated the issue to their porting department, which promptly cleaned up the mess created by Grasshopper by calling Global Crossing and getting our number back. The reason we pay higher fees is precisely for this kind of support because if we have a problem, we want it fixed ASAP. J2 provides value for money. They could charge me $20/month. As a customer I could not be happier with their service after today's experience, and I will be a customer as long as we are in business. I am a MyFax customer too. They charge me $5 per month. And charge me per page of use. Why am I a sucker? Well, I travel a lot. And $60 per year for me is nothing compared to the headache of finding a fax machine. I don't even use myFax that much. But I pay for the optionality of receiving a fax or sending a fax. I think most of J2's customers are price insensitive customers...many of them in the professional services. Price of fax machine, scanner etc is not the point. For image/credibility, a small business needs a telephone number AND a separate fax number. What is the legal status of a scanned and emailed document? Better fax it! BUT: A dedicated phone line for the fax number costs $25 a month here in California. Also, inertia (why spend a few hours work and probably disruption to move to a $6/mth service and save, what $100 over the next year?) and losing your published number is show-stopper to cancelling. Their best bet is to sell their customer base something new in future. For some reason some people must fall for it. In the form of efax.co.uk they are currently good advertising dollars on UK commercial radio. I would recommend following for free online faxing to USA and Canada where you can send PDF/Word files with no ads or any limitations. Also use receive free faxes online.